Scotland’s top 100 buildings over the past century are to be showcased at the country’s first national Festival of Architeture being staged next year. 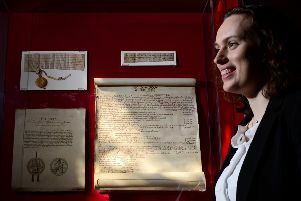 The Scottish Parliament, Glasgow’s Burrell Collection and the Scottish Government’s St Andrews House base are among the hundreds to be nominated by the public as part of the Scots Style exhibition which will tour the country next year. It is part of the 2016 Year of Innovation, Architecture and Design which is being staged by the Royal Incorporation of Architects in Scotland (RIAS) and will feature some of the best of Scottish design. The Scots Style event will see ten buildings from each decade over the past century selected from hundreds of public nominations. Others likely to be included are the National Museum of Scotland extension in Edinburgh and the Piers Arts centre in Stromness. The festival will also include an “Architecture in Space” event which will look at the design of buildings used in movies like Star Wars. Culture Secretary Fiona Hyslop said: “The RIAS Festival of Architecture will highlight the richness and breadth of Scotland’s architecture and the world quality of our built landscape. “It will be a nationwide event, showing how architecture touches everyone’s lives and engaging with Scots and visitors to Scotland – whether they have a professional involvement in architecture, or a passing interest.